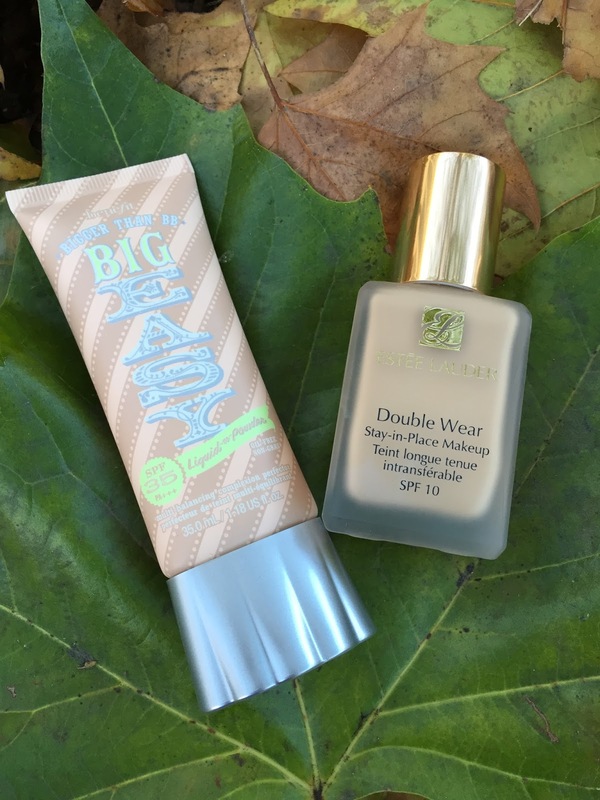 Despite I have a whole drawer of foundations, these two are my absolute faves for this autumn and winter – Estee Lauder Double Wear Stay in Place foundation and Benefit Big Easy BB Cream – One for work days and one for the weekends, they are seeing me through week after week recently. This is my weekdays foundation where I need good coverage to look polish for work, and need it to stay in place all day (as the name suggests!). It is a classic so I think everyone is familiar with this. It has medium to full coverage, yet I don’t find it cakey or heavy at all! In fact it feels light and comfy to wear. The colour match is perfect so it brightens up my skin. The medium to full coverage means I don’t need to put concealer, it saves a bit of time in the morning. I just focus on buffing in the foundation really well using my Real Technique Expert Face Brush. I bought this back in summer, and I didn’t like it then. Despite the formula was supposed to be mattifying and oil control, it didn’t stay on my face that well. However, I found it my drawer again recently, and it actually worked really well! I guess my skin becomes less oily in the colder months (and also thanks to my Alpha H Skin Balancing kit – really effective! See my separate blog post here). This is Benefit’s take on BB cream, it has SPF 35 built in. It moisturises, controls oil and minimises pores. It is light coverage and has a liquid-to-powder finish. All these qualities make the BB cream a perfect weekend no-makeup look, it evens out my skin tone yet looking super natural, the “my skin looks this perfect as I roll out of bed” look. I use my fingers to apply this. Have you switched your foundations to suit the colder months? What are you using at the moment?